The creation of the Order of St. Lucia was approved by the SMO Board of Governors in October 2004. The order is based in the tradition of military honor societies such as the of the Order of St. Barbara (artillery), the Order of St. George (armor), the Order of St. Maurice (infantry), and others. Similar to these older societies, it is named for and based on a patron saint with the “protector of...” symbology which is more of a social idea rather than religious. The society’s name was chosen for St. Lucia (284-304), the patron saint for the blind, a Sicilian martyr who, by various accounts had her eyes plucked out because of her faith. She is often painted holding a platter containing her eyes. Probably not coincidentally, the Latin name Lucia shares a root (luc-) with the Latin word lux, for light. Somewhat ironically, or perhaps appropriately, her feast day is December 13, near the solstice with the fewest hours of daylight of the year. 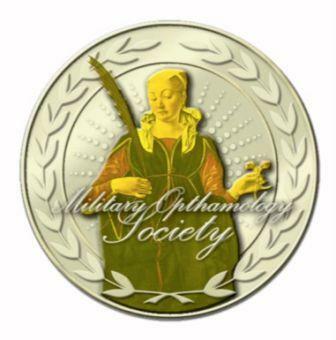 The purpose of the Order is to promote excellence, esprit de corps, and camaraderie amongst the members of the Society of Military Ophthalmology. The highest honor bestowed by the Society, the Ancient Order recognizes individuals who have performed conspicuous, life-long service for or on behalf of military ophthalmology, and have achieved national or international prominence in the field of ophthalmology. The Ancient Order is reserved for an elite few whose careers have embodied the spirit, dignity, and sense of sacrifice and commitment epitomized by Saint Lucia. Award of the Honorable Order is not a prerequisite for receipt of the Ancient Order. The Honorable Order of Saint Lucia recognizes those individuals who have demonstrated the highest standards of integrity and moral character; displayed an outstanding degree of professional competence; served military ophthalmology with selflessness; and contributed to the promotion of military ophthalmology in ways that stand out in the eyes of the recipient’s seniors, subordinates, and peers alike. Examples of individuals who might be considered include: specialty leaders, department chairs, directors of residency programs, or civilians who have had significant impact on military ophthalmology. The Society of Saint Lucia recognizes any individual whose status is other than that aforementioned, and who otherwise meets the above criteria. Examples of individuals who might be considered include: board certified military ophthalmologists, individuals who have contributed significantly to military ophthalmology, such as fellowship preceptors who have demonstrated commitment to military fellows, or non-ophthalmic academic, adjunct, or support faculty (eg, neuro-ophthalmologists, pathologists, radiologists, etc). 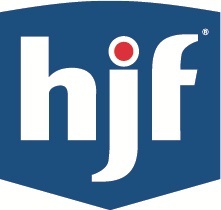 Non-physicians who have contributed to military ophthalmology may also be considered, including long-term departmental staff such as clinic nurses and NCOs, or laboratory directors who have been instrumental in resident teaching and maturation or advancement of military ophthalmology. Membership in the Order is for life unless terminated or revoked earlier for an act that brings discredit to the Order. A member may petition the Board of Governors to terminate another’s award. Such a petition shall be submitted in writing and shall provide a justification for termination of the member, and must be endorsed by at least two other members having knowledge of the infraction. The Board of Governors will consider the petition, and the President shall make final determination on all recommendations for revocation or termination.